As I where searching for new plugin’s for my Homebridge I stumbled upon Homebridge Server. The purpose of this plugin is to change your homebridge configuration via the webbrowser. The plugin handles the JSON-part and you – as a user – can add your devices to the bridge. It takes the Hombridge to a next level! The developer is still working on this project, but I would not want to keep this from you. The plugin Homebridge-Server provides a simple webinterface to work with your Hombridge-Configuration. You can add, edit or remove platforms as well as accessories and adapt the basic settings as username, pin and name of your Homebridge. Before you install this plugin you must of course install HomeBridge, if you have not already done so. Here you can read how to install homebridge on a Raspberry Pi. If you want to backup your configuration, hit the Backup-button in the menubar of the webpage. The plugin saves the configuration at the same location of your original configuration but appends an .bak-extension. Whenever you crash your config you should have a valid backup! You can directly see what’s happening on your Homebridge – hit the button in the menubar and the webserver shows you the log in your browser! From this version you are now able to browser, remove, and install all Homebridge-plugins that are available on https://npmjs.com! Thanks to the great API of https://npms.io you can filter the plugins by name and description. At the moment you can receive a 250 results. This will be fix it as soon as possible. 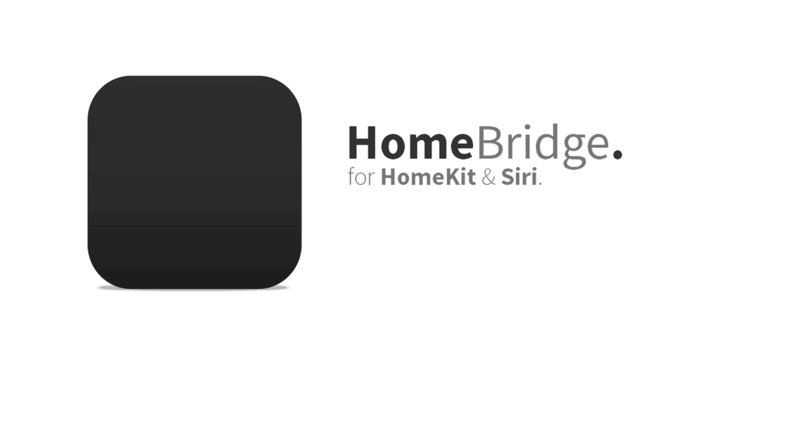 To make the changes in your configuration permanent, you need to restart the Homebridge-service. If you want, you can restart your Homebridge-running system directly via the webpages Reboot-button. Hit the button in the menubar and wait, until your system has rebooted and your services are back online. The reboot is immediate! If your Homebridge is not running as a service but as a standalone program you launch manually, the Homebridge won’t restart automatically. You must setup Homebridge as a service on boot – This is necessary for the plugin to work! Please make sure to restart Homebridge manually if you haven’t set it up as a service.